Was willst du dich betrüben (Why do you want to distress yourself), BWV 107, is a church cantata by Johann Sebastian Bach. He composed it in Leipzig for the seventh Sunday after Trinity and first performed it on 23 July 1724. The chorale cantata is based on the unchanged words of Johann Heermann's chorale in seven stanzas Was willst du dich betrüben (1630). Bach composed the chorale cantata in Leipzig for the Seventh Sunday after Trinity. The prescribed readings for the Sunday are from the Epistle to the Romans, "the wages of sin is death; but the gift of God is eternal life" (Romans 6:19–23), and from the Gospel of Mark, the feeding of the 4000 (Mark 8:1–9). The cantata is based on Johann Heermann's hymn in seven stanzas, "Was willst du dich betrüben" (1630), which is focused on trust in God, even when facing adversaries including the devil. Trust in God is also a theme of the Gospel. The chorales in Heermann's 1630 publication Devoti musica cordis (Music of a devoted heart), which also included "Herzliebster Jesu, was hast du verbrochen", the first chorale in Bach's St Matthew Passion, have been described as "the first in which the correct and elegant versification of Opitz was applied to religious subjects, … distinguished by great depth and tenderness of feeling, by an intense love of the Saviour, and earnest but not self-conscious humility". The opening chorus is a chorale fantasia, the vocal part embedded in an independent concerto of the instruments. 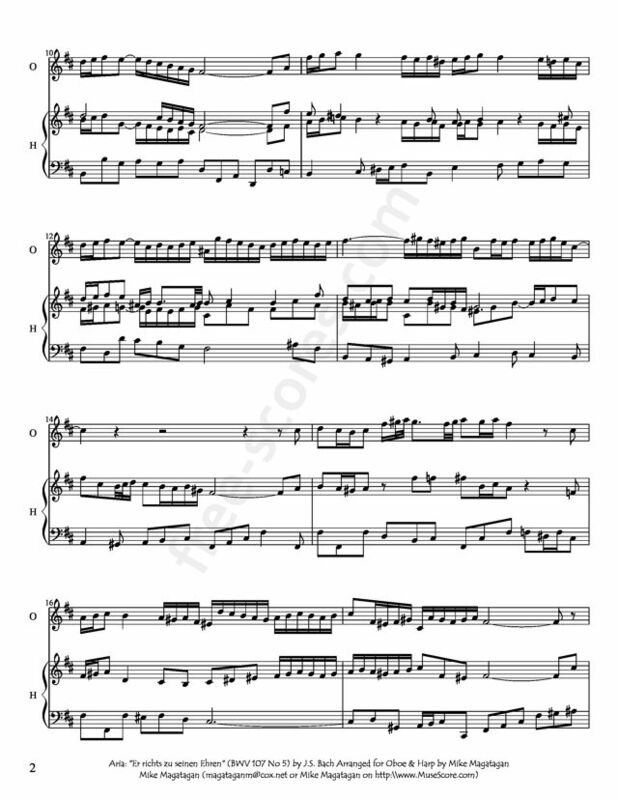 The cantus firmus on the melody of "Von Gott will ich nicht lassen" is in long notes, partly embellished, in the soprano and horn; the lower voices are mostly set in homophony. The lines of the chorale are not rendered separately, but accenting the bar form (Stollen–Stollen–Abgesang) of the text, 1 and 2 are combined, 3 and 4 are combined, 5 is single and 6 to 8 are combined. The scoring is rich in woodwinds. 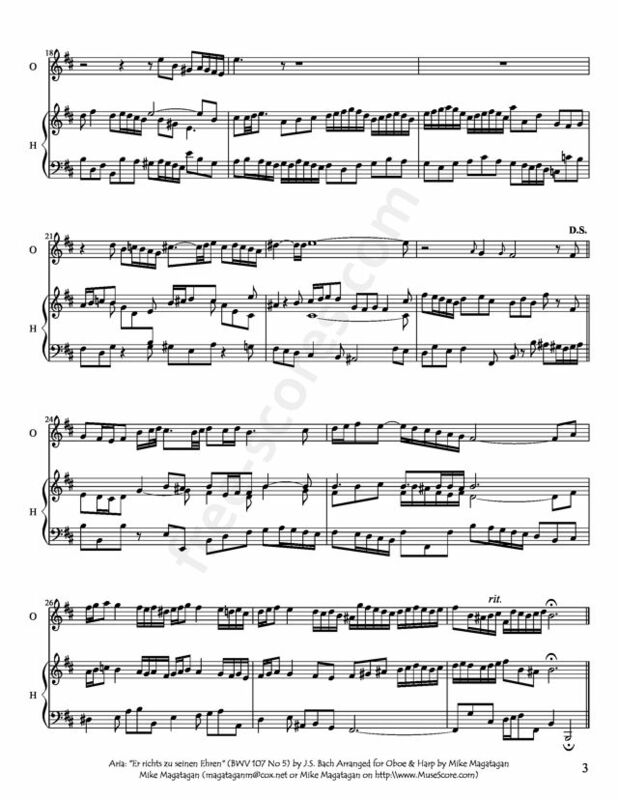 The only recitative is accompanied by the oboes d'amore, shows an extended melisma on the word "Freuden" (joy) and culminates in an arioso in the final line, with a melisma on "retten" (rescue). The following four stanzas are composed as arias, not as the typical da capo arias, but mostly in two parts, due to the bar form of the poetry. Bach achieves variation by changing voice type, key and time signature. He also varies the mode, alternating major and minor keys, expresses different Affekts, and he successfully "blurs" the bar form of the stanzas. 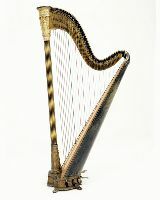 The first aria depicts a "hunting scene" for bass and strings. Bach plays on the double meaning of the German word "erjagen", which in the text has the sense "achieve by great exertion", but he expresses the word's literal meaning ("to hunt") by an "outrageous hunting call trill" of the bass. The second aria for tenor and continuo begins with strong words on Satan as an enemy: "Wenn auch gleich aus der Höllen / der Satan wollte sich / dir selbst entgegenstellen / und toben wider dich" ("Even if, out of hell, Satan wishes to set himself against you, and vent his rage on you"). The music is termed by Gardiner "a vivid pen-portrait of Satan and his wiles, delivered with typically Lutheran relish". The rhythm alternates between 6/8 and 3/4 one measure to the next, but the change is irregular and unpredictable. The bass line (marked "organo e continuo") is "extravagantly animated and angular. Albert Schweitzer likens it to the contortions of a huge dragon". 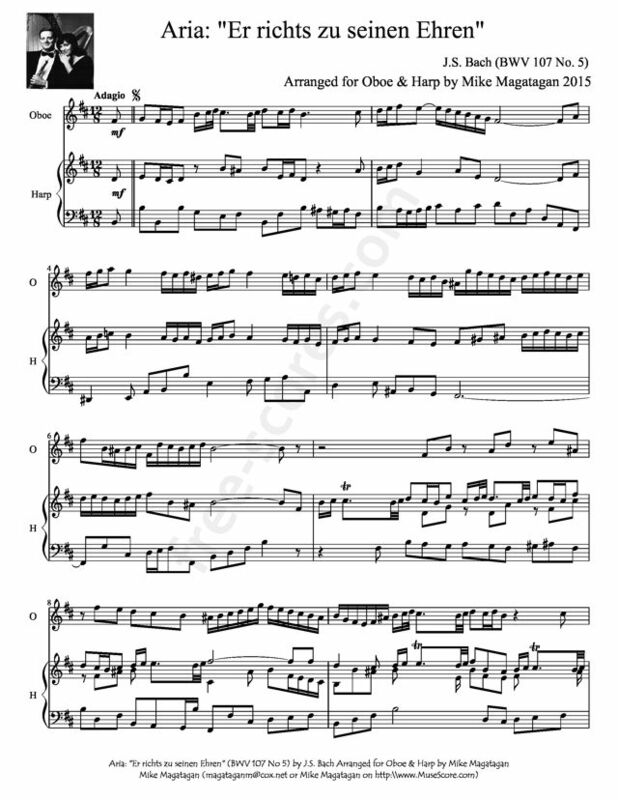 The third aria for soprano and the two oboes d'amore begins with an embellished version of the chorale tune, and the last line quotes the tune exactly on the words "was Gott will, das geschicht" ("What God wants, that happens"). The fourth aria is scored for tenor, the flutes in unison and muted violin. The closing chorale is set in four parts for the voices, but embedded in a rich orchestral Siciliano concerto. The lines of the chorale are grouped as in the first stanza, again highlighting line 5, "O Vater, Sohn und Geist" ("Oh Father, Son and Spirit") as a miniature doxology. Although originally scored for three vocal soloists (soprano, tenor, and bass), a four-part choir, corno da caccia, two flauti traversi, two oboes d'amore, two violins, viola and basso continuo, I created this arrangement for Oboe & Concert (Pedal) Harp.